From Bartimaeus Cooperative Ministries. Please check them out! Today is the 50th anniversary of the most important liturgical nonviolent direct action ever to come out of the faith-rooted anti-war movement: the Catonsville Nine draft file burning (below). Please take a moment to look at this commemorative site, as well as related articles here and here. This watershed action, which included two of my mentors, Daniel and Philip Berrigan, changed the face of Christian resistance, and helped launch many similar actions that contributed to the eventual end of the Indochina War. We give thanks for these pioneers, and for their “kin” who carry on this tradition today, such as the Kings Bay Plowshares group, who are in jail in Georgia for a disarmament witness six weeks ago on the 50th anniversary of Martin Luther King’s assassination. And there’s much more happening in this vibrant spring political season. 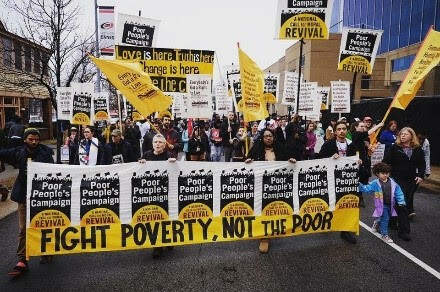 Be sure and find a way to support the New Poor People’s Campaign, also honoring and carrying on the legacy of Dr. King, which just launched 40 days o f direction action at state capitols across the nation (right). Watch this short video of our friends Revs. William Barber and Liz Theoharis being arrested in D.C. on Monday’s launch. And half a world away, also on Monday, 60 weaponless Gazan Palestinians were murdered (including 8 children) by Israeli IDF sniper fire, and hundreds wounded, as their protest for their international Right of Return continues (with no mainstream media coverage). 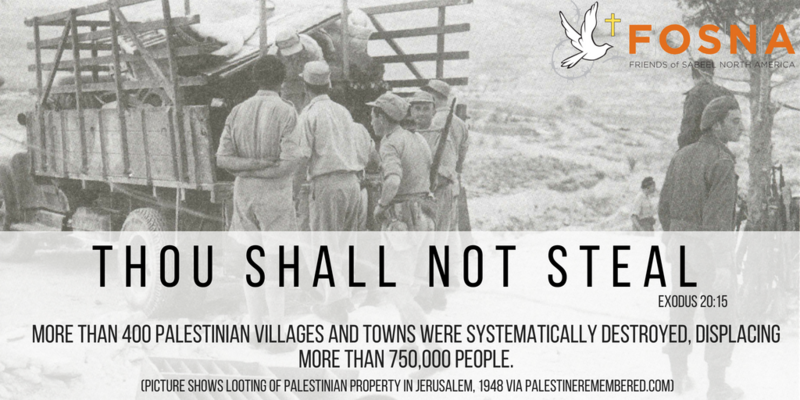 Join the Jewish Voices for Peace petition to “Speak Up for Gaza” here, and find out what our friends in Sabeel are doing in Palestine here. Meanwhile, here in the Ventura River Watershed our community is working for protection of homeless folk, immigrant rights and clean energy and water. There’s lots to do everywhere. To help build courage, capacity and conviction, Chris has made our final 2018 Kinsler Institute plenary session on “Excavating Our Hearts: Personal and Political Disciplines of Recovery and Solidarity” available on Bartcast. There are other new podcasts up as well, and check out the just-released Unsettling the Word: Biblical Experiments with Decolonization here, with contributions from Ched and many of our colleagues.